The time had for Jacob to marry. So Isaac, his father, sent him to their relative’s home in Haran to find a wife for himself from among the daughters of his maternal uncle, Laban. Why did Isaac sent Jacob away to look for his own bride when his own father sent a servant to that very same family find a bride FOR him. True, there was tension between Jacob and his older brother, Esau, over the birthright. It would stand to reason that separating the two was sound advice. But there is another reason. It fits the narrative of the Author, Who is always pointing us to Jesus! Let’s follow the story. Jacob Sent To Padan Aram. “Then Jacob went on his journey, and came into the land of the people of the east. And he looked, and behold a well in the field, and, see, there were three flocks of sheep lying by it; for out of that well they watered the flocks: and a great stone was on the well’s mouth. And thither were all the flocks gathered: and they rolled the stone from the well’s mouth, and watered the sheep, and put the stone again on the well’s mouth in his place. “And while he yet spake with them, Rachel came with her father’s sheep; for she kept them. In those days, a kiss was not the casual greeting it has become today. It was a sign of commitment as well as a desire and readiness for intimacy. Jacob knew that this was the woman for him. He loved her the instant they met and knew he wanted to spend the rest of his life with her. So much more of this love story is revealed in the meanings of names of the people and places in Hebrew. In all of them, we see pictures of Jesus and what He accomplished at Calvary. Laban means “White,” indicative of moral purity. 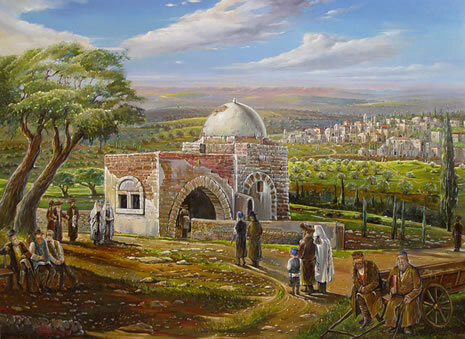 There is only one man and one settlement named Laban in the entire Bible. Interestingly enough, the town is mentioned in Deuteronomy 1:1 as one of the markers between which Moses conveyed the words of YHWH to Israel. There is also only One Man in the history of the world Who is morally pure: JESUS! What does that remind you of? Jesus lifted up on the cross as a ransom for all of us! The name, “Mizpah,” is the same as the noun, “מצפה (mispeh),” meaning, “Watchtower.” Laban called Mizpeh, “Jegar-sahadutha,” meaning “Heap of witness.” Calvary is our “Heap of witness” that all our sins are paid for in full. Jacob knew the place as “Galeed,” another Hebrew word full of meaning, which comes from the verb, “גלל Galal.” Galal is all about “Rolling.” In other words, “To roll some object on, upon or away.” In a figurative sense, it is used in ideas like “To whirl or dazzle” and even “To roll oneself onto the Lord, meaning to put one’s trust in Him (Psalm 22:8) or to commit oneself to Him” (Psalm 37:5, Proverbs 16:3). When this verb is used for physically rolling something away or somewhere else, the object is usually stones. (Genesis 29:3, Joshua 10:18). 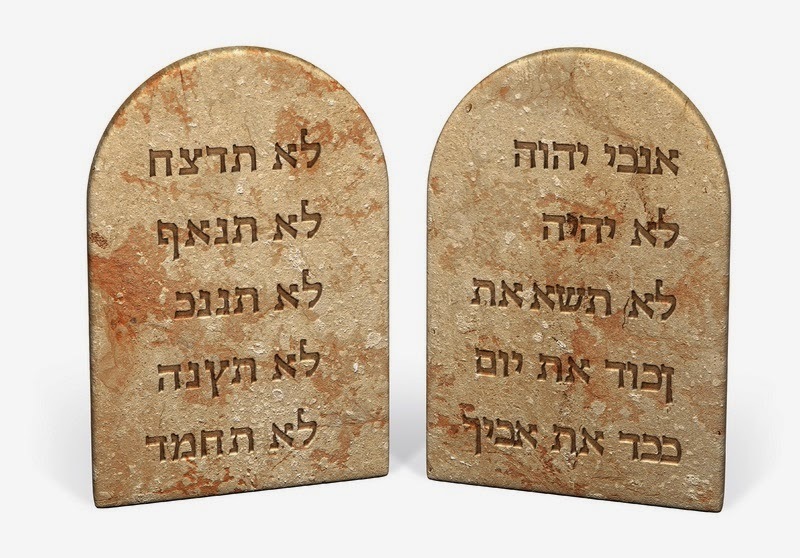 Whenever stones are mentioned in the Bible, it is referring to the Law. Jesus came to usher in a New Covenant based on God’s grace, replacing or usurping the Law . By fulfilling all the law and paying the price for sin, He in effect “ROLLED AWAY THE STONE (the Law) FROM OUR LIVES! We now operate in the freedom of His grace and are no longer under punishment from God when we fail. Jesus has become our Advocate, our “Lawyer” as it were, before the Father Who declares us “Not guilty” because our penalty was borne by Another: Our Lord Jesus Christ! You’ve probably heard the story. 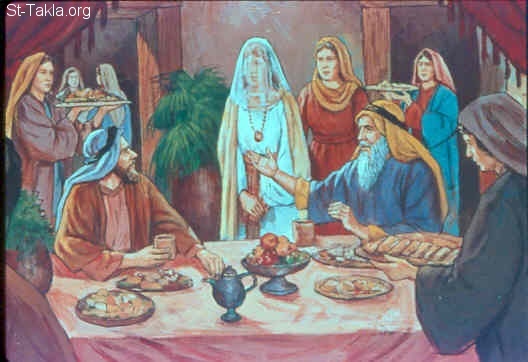 Laban agreed to give Rachel to Jacob for his wife, but he had to work for him for seven years in order to pay her dowery. He did so gladly and the year’s fairly flew by. At the end of that time, a wedding was held for the two. The bride, her face veiled, was brought to Jacob and the two consummated their marriage. In the morning, however, Jacob realized that he had been deceived. Instead of Rachel in his bed, he found her older sister, Leah! He was not very happy, as you can imagine! 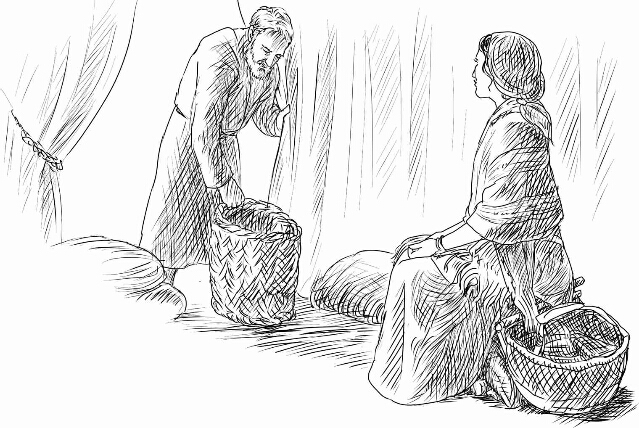 It is precicely because of this incidence in Jacob’s life that all brides are unveiled at the altar to prove that the groom is, in fact, marrying the girl of his dreams. The Deceiver Becomes The Deceived. Jacob has become the object of deception. Quite a turnaround. His name means, “Usurper.” Years before, back in his own country, he had been the deceiver. He not only tricked his brother, Easu, out of his birthright, but deceived his own aged, nearly blind father, Isaac! He deceived him into believing that he was Esau so he could get the first-born blessing! Not a very nice guy. Later in life, he did change, though it took many years. There was nothing that he could do to change what happened to him now, so Jacob worked another seven years. At last, he married his beloved Rachel. Sons And A Daughter Born To Jacob. During this time in Haran, many sons were born to Jacob. God saw that he loved Rachel more than Leah so he opened her womb. But Rachel’s womb He did not open. She was barren. Jacob Prepares To Return Home. 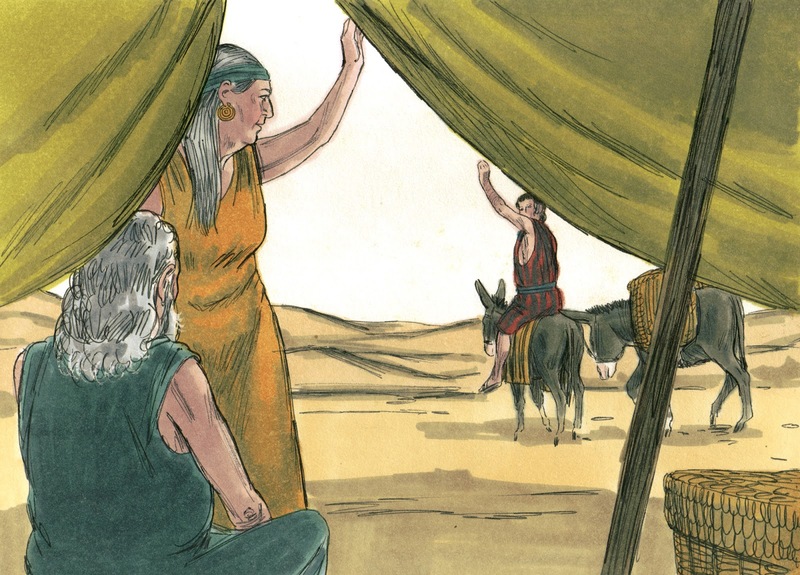 Seeing his father-in-law’s reluctance to let him leave and fearing he might take his wives away by force, Jacob fled with them and all his household. Who does that sound like? You guessed it: The devil. 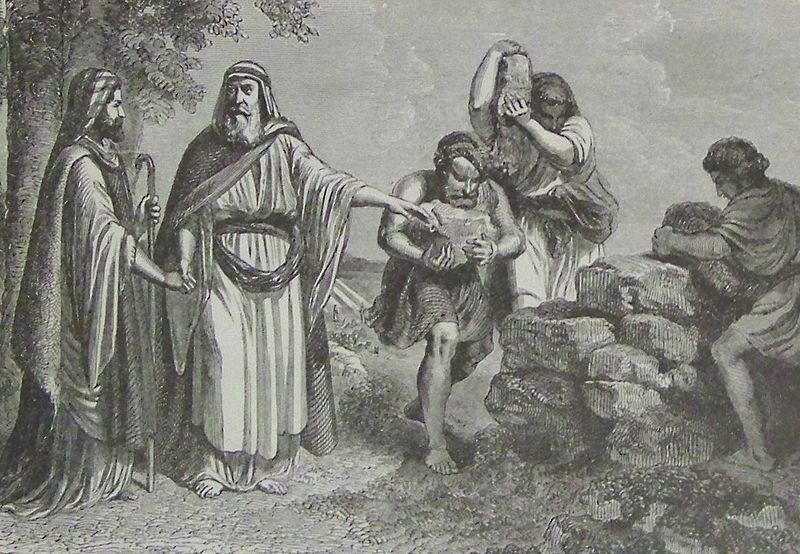 Though Laban was a follower of this pagan “diety,” it’s clear that he also knew of and had respect for Jacob’s God, though he never worshipped the True God. His daughter, Rachel, was also obviously a worshipper of this false god at the time, though she later became a servant of the Yahweh. The Holy Spirit purposely points out that Rachel stole the graven images from her father’s house. Watch what happens when her father catches up with Jacob and company at Galeed. “So Laban overtook Jacob. Now Jacob had pitched his tent in the mountains, and Laban with his brethren pitched in the mountains of Gilead. Jacob’s Curse Falls On Rachel. Rachel lied to her father and told him she was menstruating so she couldn’t get up. She was sitting on those idols, of course, and didn’t want her father to find out. But, because of what Jacob swore to Laban in verse 32, later in life, His prophecy came true. The one who stole those graven images, Rachel, died in childbirth when Benjamin was born. It is not recorded that Jacob ever found out Rachel had been the one to hide the graven images, and thus, suffer the curse he spoke. 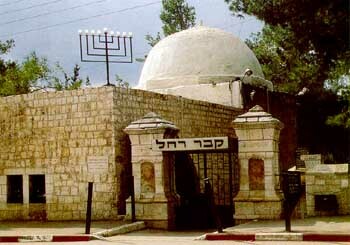 She died near Bethlehem. He erected a beautiful monument over her grave which remains to this day. We are no longer have to fear curses of any kind because Jesus absorbed all our curse. We need never fear that or any curse, generational or otherwise. No curse can affect us. HALLELUJAH! We are the”Ben-jamins: Sons of the right hand (of God),” right along with Jesus, our elder brother. He is the Greater Joseph, Who sits at the Father’s right hand. We are a blessed nation. He died young at 33 years of age so that you and I, Church, could live long, free of all curses! And that’s the story of Jacob and his beloved Rachel.